I count it a privilege that Pastor Clendennen asked me to share this testimony. It is always an honor to testify of the faithfulness of God. There are so many across this world that have experienced His hand upon their lives. I am blessed to be able to be one of those. As I share this testimony, much will be said about financial blessings to our ministry, but I assure you the heart of this testimony is about the faithfulness of God in answering prevailing prayer. This all began in the midst of a season of prayer in our church that was birthed out of a Sunday night service that lasted till about midnight. It was in this service that six young people were baptized in the Holy Ghost and others were gloriously touched of God. For over three years there was at least one hour of corporate prayer (many times several hours) every day in the church. About 75% of our congregation attended these daily prayer meetings, including young people from the ages of 9-18 that prayed faithfully. It was in one of these prayer meetings that I believe God spoke to me for the church to pay a tithe to the School of Christ. I am convinced, as many Pastors are, that the School of Christ is a fulfillment of the prophecy of Hudson Taylor in 1874 that a movement of God would come out of Russia in the last days and spread across the world just before the coming of Christ. What a privilege for God to ask this small congregation of less than a hundred people to be supportive of this great missionary tool that God has raised up. I believe what happened in our ministry over the next few years is a direct result of our obedience to tithing to the School of Christ and God's faithfulness to prevailing prayer. It all began when I received a phone call from a Christian business man. This was shortly after we began giving our tithe to the School of Christ. He told me God was leading him to get involved prayerfully and financially with our ministry. He said God had spoke to him to purchase land for the vision God had laid on our hearts for the ministry. He came to Goldsboro and I picked him up at the hotel on a Saturday morning. We went to a land auction where 74 acres were being sold. It was a beautiful piece of land with 72 acres cleared. I stood there that day knowing I did not have $10 toward the purchase of this land. About 3 hours later, I left that auction and had purchased those 74 acres for $424,000. How could all this be happening? It was God leading me down a path to show me His mighty hand and His plan for the ministry. The man made a large deposit on the land and the rest was covered by the bank. In the next few weeks, God stirred me to believe Him to be able to pay off the debt on the existing property of $252,000 before we paid off the balance of the land. In less than 6 months, both the mortgage on the existing property and the balance on the 74 acres of land was paid off. The ministry was now debt free and we had about $50,000 in the bank. This was beyond what we could have believed or hoped for, but it was God. It was obvious that God was leading us down a path to prepare us for His purpose and plan in these last days. Shortly after we paid off the mortgage and the land, God led me to buy a house across the street from the church. This house would be used as a guest house for the ministry. We paid $60,000 for the house, completely renovated and furnished the house and remained debt-free. In the next 15 months, we purchased a second guest house, (completely renovated and furnished), built a new 2000 square feet multi-purpose building, and renovated the Jacob House (a discipleship program), renovated our offices in the church, installed new vinyl fence on all the property, and still remained debt free. Over the course of this entire time, we had a prayer meeting every day for at least an hour in the church. There were some days that prayer went on several hours. Many of these prayer meetings were centered on the School of Christ. In March of 2007 in one of these prayer meetings, I believe God spoke to me again very clear. He spoke to me to believe Him for 1.1 million dollars. What was God doing now? I got so excited because I would be able to give the School of Christ $110,000.00 (a tithe). That would leave our ministry with $990,000. We could deposit that in the bank and be secure for several years. I prayed about this diligently until May 19 when I believe God spoke again, and then He spoke the same thing two days later on May 21. This time He made it very clear we were to give the entire amount (1.1 million dollars) to the School of Christ. God did not mention our ministry. He made no promises that if we were obedient He would do certain things for the ministry. He simply said when the money comes in I want you to take it to Beaumont and hand it to Pastor Clendennen. I didn’t say anything to the congregation, I just prayed. On July 26, I got a phone call from the bank that we had received a wire transfer to our general account in the amount of 1.1 million dollars. Praise God! He had once again shown Himself so faithful. I immediately called the School of Christ to set up a meeting with Pastor Clendennen. I took my family and met with him in August and told him a portion of this testimony and gave him the check for 1.1 million dollars. What an honor to experience the humility and brokenness of a true man of God as Pastor Clendennen began to weep and worship God for His faithfulness. It was an experience I'll never forget. I will forever be thankful that God allowed my family to see that wonderful sight. Since August of 2007, many other things have happened. We have created a website for the ministry and have completely up-graded our audio and video capabilities. We are now able to web-cast our services over the Internet to a small number of users and have established Acts America TV Ministry with programs on 2 local stations weekly. All the new equipment has been completely paid for and the 2 weekly 30 minute T.V. programs are paid for until 2009. We have been able to create a small library in the Jacob House with all the School of Christ materials made available to our discipleship students. We are believing God to use the discipleship program to further the training of men of God with a call on their lives to preach the Gospel. Also, as I write this testimony, Pastor Clendennen has just taught the School of Christ here at our church for 19 days and graduated about 50 students. What a time we had in the Lord! As I finish writing this testimony, it is Saturday night May 3, 2008. 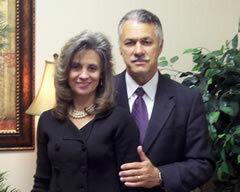 Pastor Clendennen is with us preaching both services tomorrow. My wife and I had a wonderful time of fellowship with him today as we picked him up at the airport. It is such an honor to simply listen and absorb the wisdom of a man of God and his many years walking with God. As we fellowshipped today, we rejoiced together about the latest part of this testimony. When I attended the Ministers Convention of the School of Christ in March, I was very moved as I watched the testimony of Brother Tyler concerning Iceland. I knew in my spirit God was going to do something tremendous out of Iceland that would touch much of Europe. I believe God made it clear to me that our ministry was to get involved. I prayed for the next 6 weeks to get the mind of God about what we were to do beyond prayer. He once again made it very clear. Pastor Clendennen told me God had opened the door for the School of Christ to be taught in Iceland. They would be able to have 100 students in the first school that would cost the School of Christ about $450.00 per student ($45,000 total). I knew that God wanted our church to sponsor all 100 students. On April 28th, we mailed the check to Pastor Clendennen for the first 100 students in the School of Christ in Iceland. Our congregation is so blessed to have a small part in what God is about to do in Iceland that will spread like a fire into Europe. God has surely been faithful to allow us to see His hand and we still remain debt-free! There is a remnant across this world that is being used of God in a mighty way without any of the material blessings that I have shared with you. These things within themselves are just that, things. But, I believe God has allowed our ministry to experience this testimony to prepare us for His purpose in these last days. He has used it to teach us more of His heart toward prevailing prayer and obedience. He has led us down a path where we have experienced His might and faithfulness to use the seemingly foolish things to confound the wisdom of the wise. He has allowed a small congregation of less than 100 people to be apart of His plan for these last days. Again, I am so thankful for the privilege of sharing this testimony. However, the greatest part of all that has happened is there is a greater desire to know the Person of Jesus Christ. Toward the end of Paul’s ministry he still cried out, “That I may know Him, and the power of His resurrection, and the fellowship of His sufferings, being made conformable unto His death.” I pray that out of this testimony God will stir a cry in our hearts and yours “to know Him” and to “press toward the mark for the prize of the high calling of God in Christ Jesus.” As those young Moravians said that day as they sailed out of the harbor “Is not the Lamb worthy of the rewards of His suffering.” Let us rise now and accept the challenge of allowing our generation to see the Church, the body of Christ walk in obedience with a passionate love for that man in Heaven, Jesus Christ. He alone is worthy. He alone has made this testimony possible. We will forever be thankful for His continual faithfulness and the privilege of supporting the School of Christ as we anticipate the soon return of Jesus Christ. This testimony was edited for space and published in Voice of Victory Magazine, Summer 2008. This is the complete testimony as originally written.